The PALM team of highly trained arborists are certified by the International Society of Arboriculture (ISA) to bring meticulous care to every job. Our philosophy encompasses more than simple pruning and maintenance. We study each tree’s overall system to ensure longevity and vitality from the ground up. Our Arbor division is run by an I.S.A. Certified Arborist and all tree climbers and cutters are trained and licensed by the county. Pruning techniques are based on tree health safety, function and beauty. 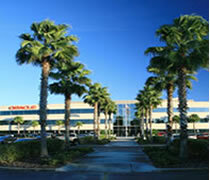 While tree trimming Palm takes into consideration surrounding landscape and structure as to not damage anything in the immediate area. Your trees represent an expensive asset and proper pruning and nutrition is paramount to your trees health and longevity. Let Palm guide you to purchasing the right tree for the right palace, inform and educate you on proper pruning techniques, prune for proper health and structure and implement a fertilization and Integrated Pest Management program.